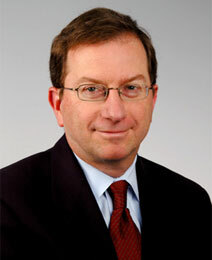 PETER T. MOTT is a principal of Brody Wilkinson and a member of the firm’s Trusts & Estates Group. Mr. Mott practices in the areas of estate planning and trusts and estate administration. He assists individuals with tax and charitable gift planning, business owners with succession planning, and families planning for aging or incapacitated family members. Mr. Mott is a Martindale-Hubbell AV-rated attorney. He is admitted to practice in Connecticut and has practiced in the Greater Bridgeport area since 1983. Mr. Mott is a member of the American and Connecticut Bar Associations and is past-chair of the Connecticut Bar Association’s Estates and Probate Section. He is an active member of the American College of Trust and Estate Counsel, where he serves as state chair of Connecticut and is a member of the Board of Regents. He is past-chair of the Professional Responsibility Committee. Mr. Mott was named Best Lawyers® Trusts and Estates “Lawyer of the Year” for the Stamford metropolitan region in 2017 and 2013, and has been selected for inclusion in The Best Lawyers in America© in the field of trusts and estates since 2005. He has also been recognized as a “Connecticut Super Lawyer” in the areas of estate planning and probate; and tax since 2006. 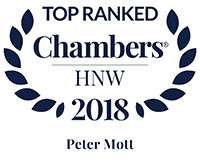 In addition, Mr. Mott has been recognized by Chambers High Net Worth Guide since 2016 with a “Band 1” ranking in the category of Private Wealth Law. He regularly publishes articles on estate planning and speaks at numerous seminars on the subject. Mr. Mott received his B.A. from Trinity College (Hartford) in 1978 and his J.D., with high honors, from the University of Connecticut School of Law in 1983, where he was an editor of the Connecticut Law Review. He currently serves on the Boards of the Fairfield County Community Foundation and the Council of Churches of Greater Bridgeport. Mr. Mott has been involved in numerous civic activities over the years, including the Central Connecticut Coast YMCA, Fairfield Public Library, and is Moderator at First Church Congregational. Mr. Mott is a lifelong resident of Fairfield, Connecticut, where he currently resides with his wife, Janet.